Dylan Macallister rescued a point for Manly United in their round five clash with Blacktown City after striking an injury-time equalizer to claim a 1-1 draw at Lily’s Football Centre. The veteran striker arrived off the bench midway through the second half and fired home a scrappy 91st minute effort to earn the reigning champions a valuable point away from home. Blacktown looked set for their fourth win on the trot and fifth consecutive shutout after a brilliant first half opener from Mitch Mallia but were punished by Macallister at the death after failing to capitalize on a series of late chances.  As a result Mark Crittenden’s side lose hold of the early competition lead with Sydney Olympic and APIA Leichhardt Tigers registering victories over Marconi Stallions and Rockdale City Suns in Saturday night’s other fixtures. Blacktown had lost their last three encounters with Manly and there were signs of complacency in the opening half with Manly forward Marley Peterson enjoying several opportunities to build on a midweek FFA Cup brace and crashing a header off the underside of the post. But City peaked towards the end of the half and Mallia opened his account for the season on the cusp of the break after rifling the ball into the roof of the net from a tight angle following a lengthy run. The hosts weren’t at their efficient best in the second half but saw several chances to kill the match go begging – most notably in the final minute of normal time when Yianni Spyrakis hit the post before substitute Mason Versi blazed the rebound over the bar. Paul Dee’s visitors rallied late on through a series of corners and with Blacktown failing to clear danger Macallister fired past Blacktown goalkeeper Stevan Savicic to restore parity. Despite the late disappointment Blacktown City assistant coach Luke Roodenburg said he was pleased with his side’s performance ahead of their midweek FFA Cup tie with Blue Mountains FC. “It was a battle in the end with two good teams, we’re disappointed especially with those chances at the end and we should’ve done a bit better with them,” he said. “The only way they troubled us was with long balls and set pieces, we know that’s what they had come here for. Manly United captain Jamie Lobb said their late equalizer was thoroughly merited and could serve as a platform for the 2017 champions to rediscover last year’s form. “We’re maybe a little bit underdone at the start of the season but we’re strong believers in the process here and if we keep doing what we’re doing the results will come,” he said.